This was a trek done by our friend Marie (above) and her trek below. 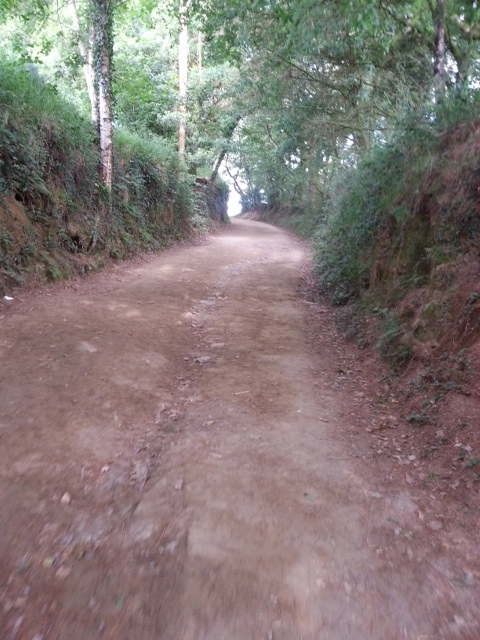 In walking a week the French way in the Camino de Santiago I find once again reflecting and being grateful. 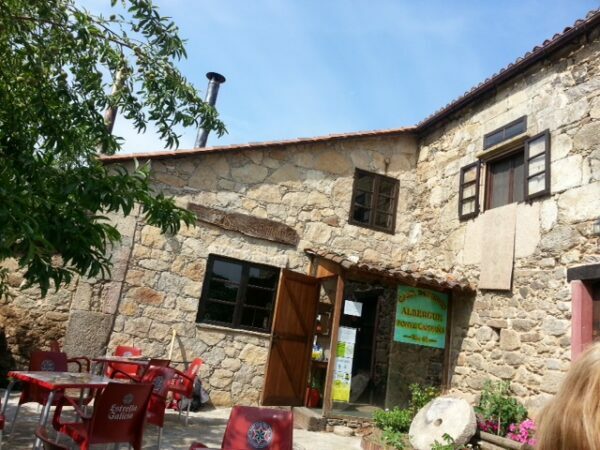 The town of Sarria marked the beginning of the trek and we trekked until we reached Santiago de Compostela. 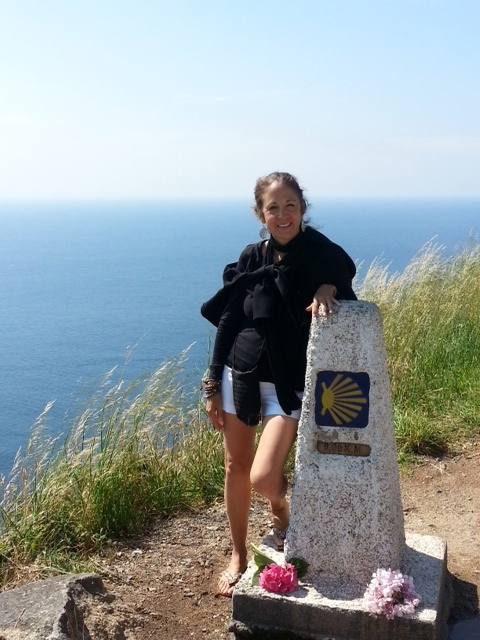 During the walk I met people from all over the world who for religious, spiritual or mere sports walk the“Camino”. 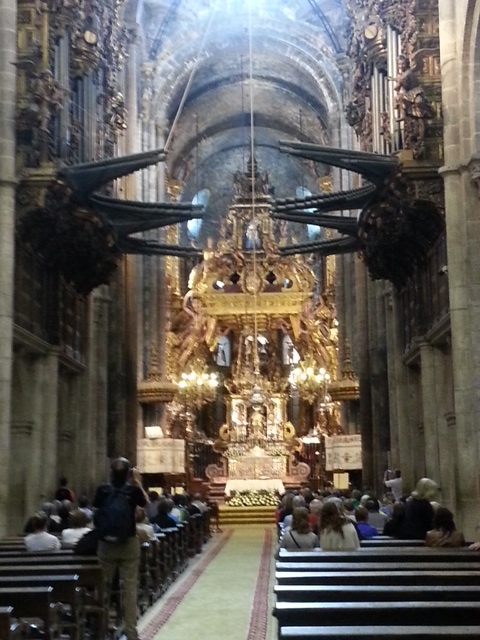 The magnificent St. James Cathedral marks the end of this week long walk. A mass receives the pilgrimage walkers with a blessing spreading the incense throughout the church with the “botafumeiro” which needs eight priests to manage. This cathedral began construction on 1075 and took over 100 years to build. While at mass it brought back childhood memories when I used to go to church with my Dad very early in the morning, (mostly because I wanted to be with Dad and have hot chocolate at the end of the mass). Along the way there are many rest stops catered to the walkers welcoming them with the beverage of choice( including beer) and eats.I was mesmerized by the inordinate amount of flowers along these very well marked trails. 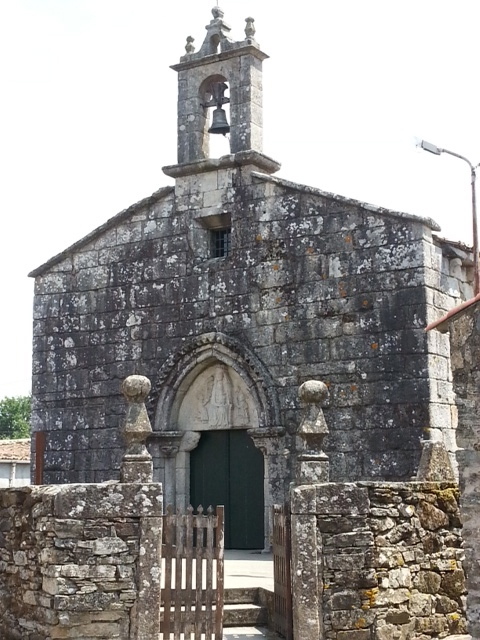 Hamlets and villages and churches were part of the sites to my enjoyment.Santiago de Compostela is another UNESCO world heritage site filled with so much history and sites. Our agency insured the very best accommodations which were all very different with a friendly staff to greet and to serve us. The next day, a taxi was taken to Finisterra ( once known as the end of the world) with a breathtaking view and crystal clear water at the beach. 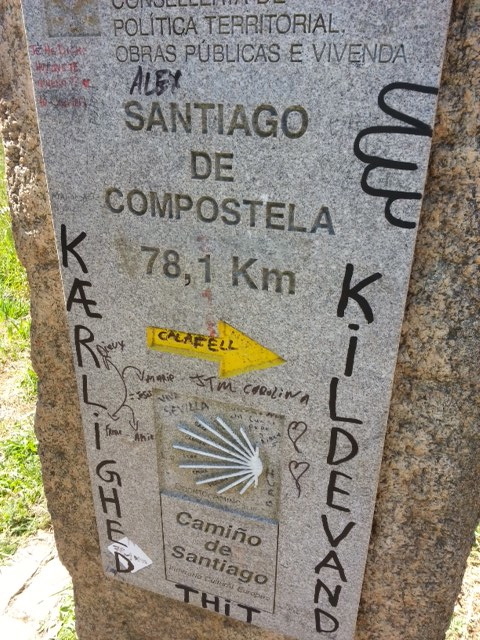 The Way of St. James, St. James’s Way, St. James’s Path, or St. James’s Trail (commonly known by its name in: El Camino de Santiago) is the name of any of the pilgrimage routes to the shrine of the apostle Sr James in the catherdral pf Santiagp in Galicia. It is where tradition has it that the remains of the saint are buried. Many take up this route as a form of spiritual path or retreat, for their spiritual growth. 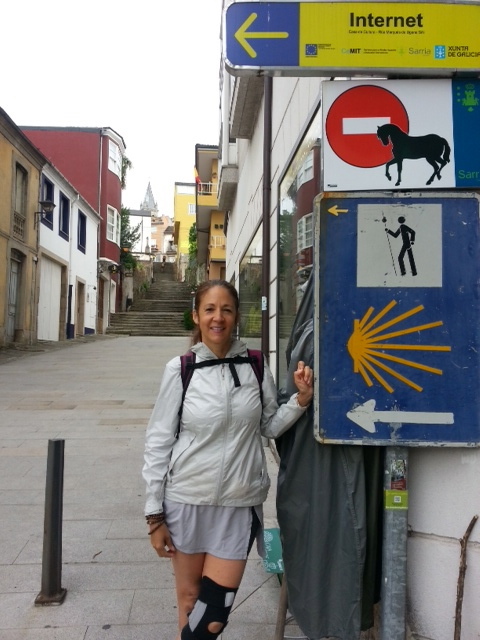 The Way can take one of dozens of pilgrimage routes to Santiago de Compostela. Traditionally, as with most pilgrimages, the Way of Saint James began at one’s home and ended at the pilgrimage site. The pilgrimage to Santiago has never ceased from the time of the discovery of St. James’s remains, though there have been years of fewer pilgrims, particularly during European wars. Version 2: After James’s death his body was mysteriously transported by a crewless ship back to the Iberian Peninsula to be buried in what is now Santiago. As the ship approached land, a wedding was taking place on shore. The young groom was on horseback, and on seeing the ship approaching, his horse got spooked, and horse and rider plunged into the sea. Through miraculous intervention, the horse and rider emerged from the water alive, covered in seashells. 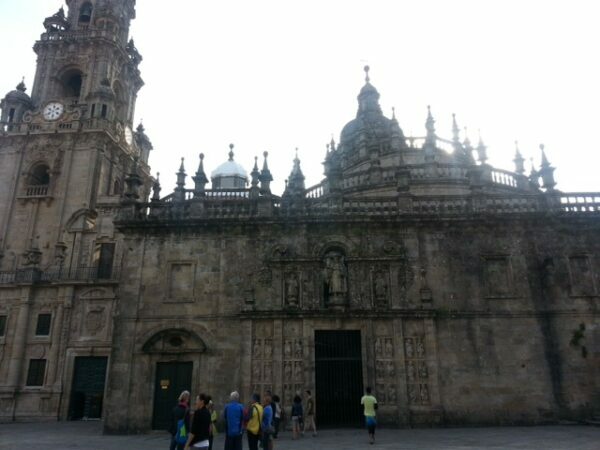 Today, tens of thousands of Christian and many others set out each year from their front doorsteps or from popular starting points across Europe, to make their way to Santiago de Compostela. Most travel by foot, some by bicycle, and a few travel as some of their medieval counterparts did, on horseback or by donkey . 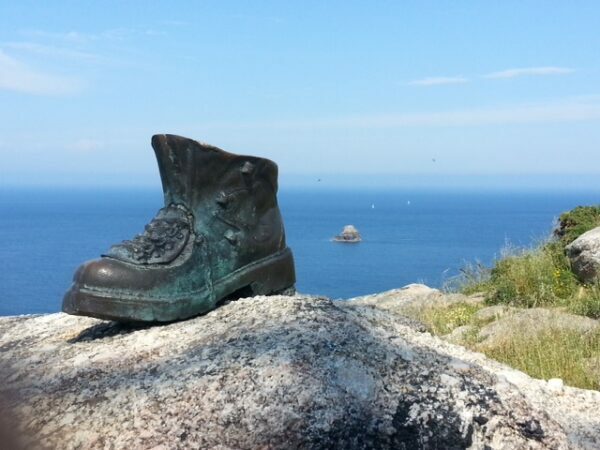 In addition to those undertaking a religious pilgrimage, the majority are hikers who walk the route for non-religious reasons: travel, sport, or simply the challenge of weeks of walking in a foreign land. Also, many consider the experience a spiritual adventure to remove themselves from the bustle of modern life. It serves as a retreat for many modern “pilgrims”.